Many researchers and educators agree about the importance of giving children opportunities to investigate ideas in a variety of ways, spaces and places--and the earlier the better. With that said, this month we have been on the hunt for children's STEM books that support this philosophy. As we began our search, we came across a fantastic board book series from Sourcebooks' Baby University. 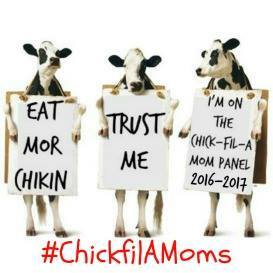 Their motto is 'STEM for the Youngest Among Us!' and we couldn't agree more. It's never too early to start exposing babies and young children to the sciences and mathematics. From the ABCs of Math to Quantum Physics, Baby University covers just about every STEM subject you can think of. 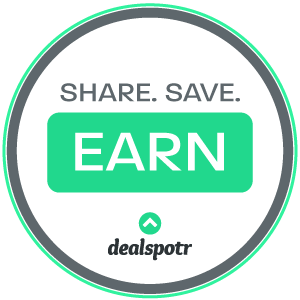 We've chosen a few of our favorites to share with you below and hope that you love them as much as we do! These board books are written by experts in the field, so you can rest assured that the content is spot on. The writers put a lot of thought into creating simpler explanations of complex ideas. Exposure is the first step when introducing your little ones to STEM concepts and these books are a fun way to explore and bond together. 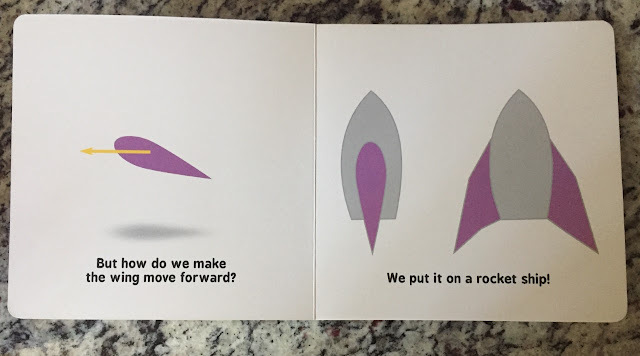 Rocket Science for Babies - We love how colorful and simplistic the illustrations are in this book. As an introduction to aerospace engineering, you and your child will learn about the basics of how lift and thrust make things fly. The language is incredibly simple, with a few higher level words sprinkled in. The ending of this 22-page board book is fantastic, with each piece coming together to create a rocket ship to the moon in the end. ABCs of Mathematics - This book has a nice mix of basic and advanced mathematics terminology (A is for Addition, B is for Base, C is for Chord...) and super clear, colorful illustrations to support each explanation. 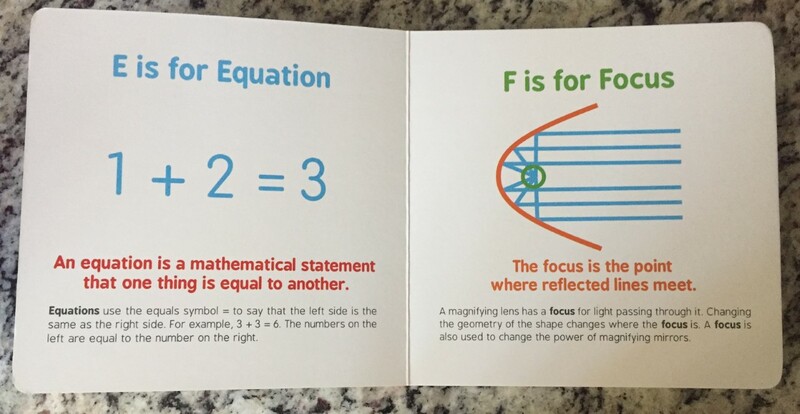 The book features multiple levels of text so it grows along with your little mathematician. 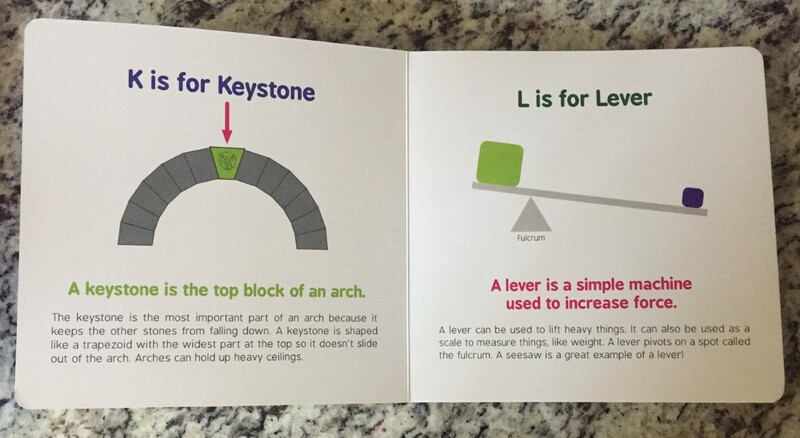 ABCs of Engineering - From amplifier to zoning, this A to Z board book covers a lot of terminology! Just like the ABCs of Mathematics, this book starts with a simple vocabulary word at the top of the page, an illustration in the middle and a lengthier explanation at the bottom of the page, so that the book can grow with your child. It also covers a wide range of engineering, which the engineers in our family appreciate. 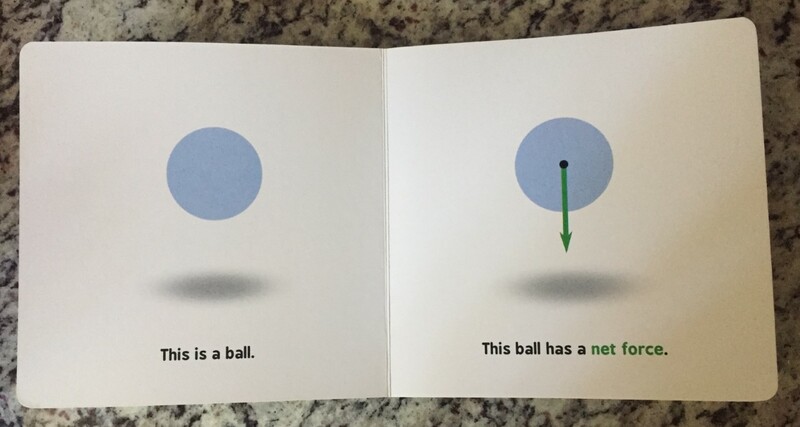 Newtonian Physics for Babies - I wish I had this book when I taught my first graders Newton’s laws of motion! Learn all about mass, acceleration, the force of gravity, and more with colorful illustrations to help understand concepts. It would be a great reading to pair with hands-on activities. Organic Chemistry for Babies - As a first look at the structure of organic, carbon-containing compounds and materials, the authors joke that you and your child will be one step ahead of pre-med students. Their experience in astrobiology and radiation decontamination is boiled down to an attainable level. Some of the concepts remain more complex, but remember that a major point of these books is exposure and we like that they include a mix of levels to tackle organic chemistry. "IT ONLY TAKES A SMALL SPARK TO IGNITE A CHILD'S MIND! Baby University is the simplest way to introduce toddlers (and grownups!) to BIG ideas! Perfect for scientists, aspiring scientists, and those with curious hearts and minds! ​​The time for STEM learning is NOW! 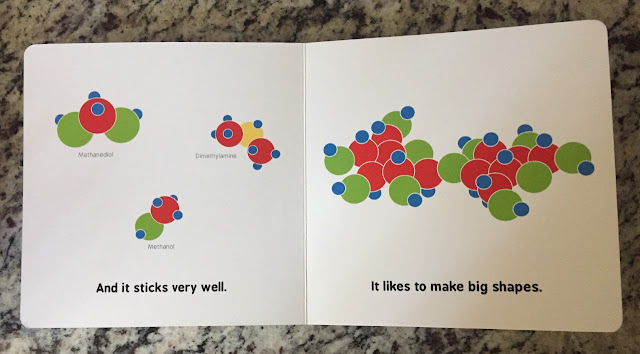 Start your child off on the right quark with Chris Ferrie's Baby University." 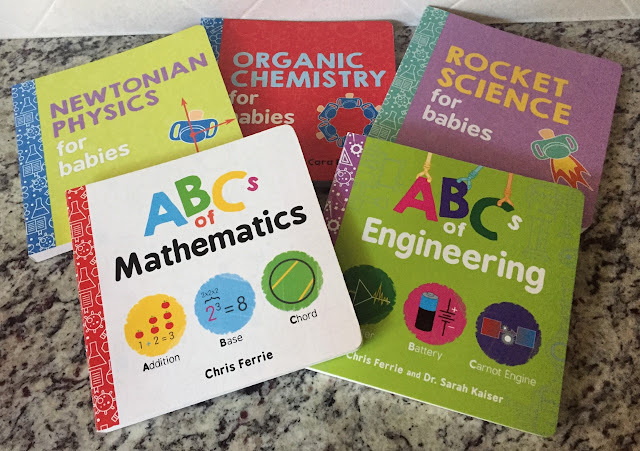 Head over to Sourcebooks' Baby University to browse and purchase the entire STEM collection, delivered right to your door! Disclaimer: The products in this post were provided by Sourcebooks. As always, our posts are our own, honest opinions.